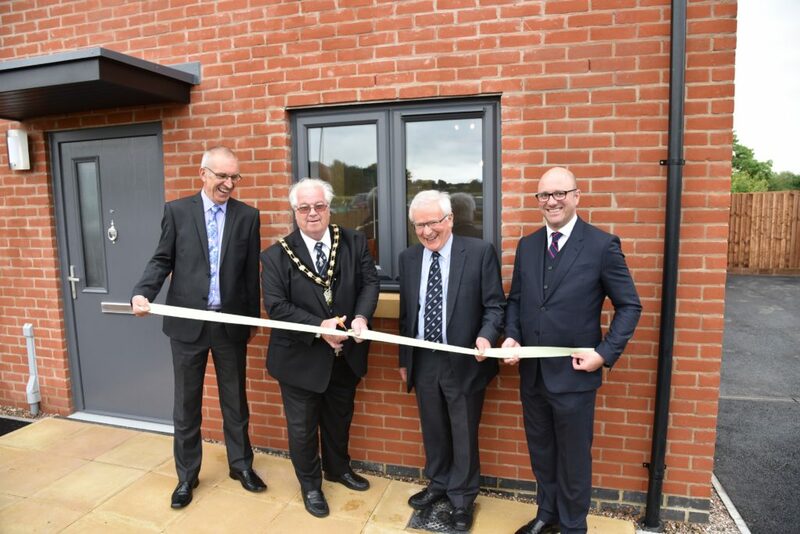 22 new family homes have been built for the council by construction company Robert Woodhead Limited on two sites in Swadlincote and Overseal. At Pennine Way in Swadlincote eight semi-detached houses and two semi-detached bungalows have gone up on disused waste land, part-funded by the Homes and Communities Agency. In Lullington Road, Overseal, Woodhead has built 12 semi-detached family homes on an area previously occupied by prefabricated housing. Representatives from the council, developers and VIPs were on site in Overseal yesterday to mark the official handover of the properties, most of which are already occupied. “We’re delighted that these properties have already been sought by people on the Housing Register who need good-quality housing at an affordable cost. “However many times we build new homes, it’s always a pleasure to return to a site on completion and see how the area has changed as a result. “Derbyshire Fire and Rescue Service has been campaigning for several years advocating the lifesaving benefits of domestic sprinklers and, by working with councils and local housing providers, the service has been encouraging the fitting of domestic sprinklers in all new homes.